Mindfulness and the wellness trend is growing, and it’s definitely here to stay. So it’s no wonder that creating a serene, happy space has become a huge interior trend to explore. It’s all about combining the best of Scandi comfort and health-focused influences - think aromatherapy, colour psychology, and lots of plants and greenery. Rebecca Snowden, Interior Style Advisor at Furniture Choice shares with us her 3 tips on how to create a relaxing space that can also boost wellness. Sarah Duncan, Reiki therapist and founder of Soul Candles, discusses the benefits of these stylish and practical accessories, and the importance of turning the home into a sanctuary. “I’m a big believer in the effects and benefits of using aromatherapy oils in the home, and the two easiest ways of going about it are with candles and diffusers. “While candles can really set the mood, you can get the same effects - and do away with potential fire risks - by opting for a diffuser, and then selecting the right oils for the right space. 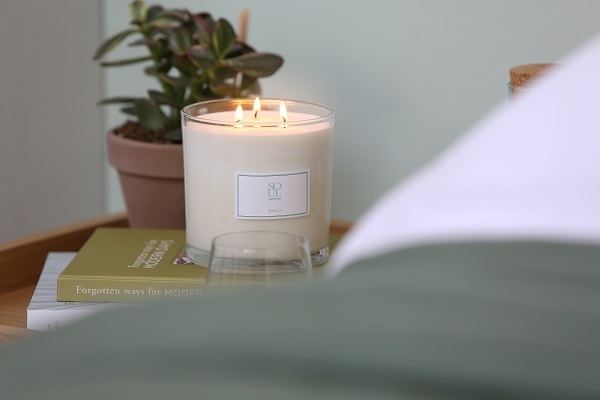 For example, our Relax range is ideal for the bedroom and winding down after a long day - notes like lavender, geranium and ylang ylang will lift your mood and improve cognitive function. For livelier spaces, such as the living or dining room, go with our Uplift range to awaken the senses. 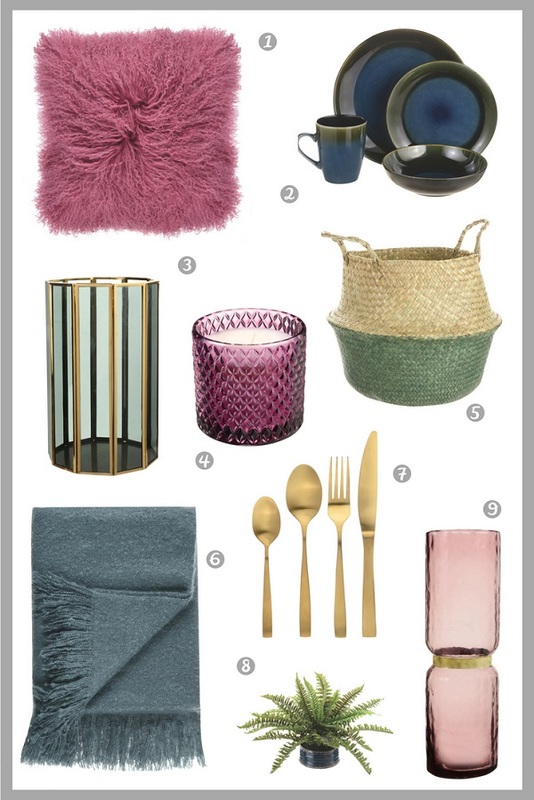 It’s no secret that natural homeware and decor are big this year, with rattan pieces and the tropical aesthetic shaping up to be hot summer favourites. Founded in 2005, FurnitureChoice.co.uk is an independent furniture retailer. The company combines a deep knowledge of contemporary furniture manufacturing with first-class e-commerce expertise. If your floors are looking tired, dated, dull or damaged, why not bring them back to life, and back on-trend with a stencil and some chalky finish floor paint. It’s a quick, easy and cost effective option if you're prepared to try some light DIY, and once applied it will provide a timeless, hardwearing finish that looks amazing. Chalk paint can be applied to wooden floorboards or concrete flooring and can be applied directly over old paint and varnish. STEP ONE Chalky Finish Floor Paint can be applied to concrete floors, bare wooden floorboards and floorboards with old paint and varnish, once the surface is prepared properly. Wooden floors should be lightly sanded, vacuumed, and wiped completely clean before painting. Concrete floors should be vacuumed, wiped clean and allowed to fully dry before painting. STEP TWO Take your Chalky Finish Floor Paint base colour (we used Chalk White) and paint around the edges of the room, cutting in a couple of inches. Next take your large roller and get to work on the main area of the floor. Start at the furthest corner and move backwards towards the door, leaving yourself an escape route. You will need at least two coats – check on the tin for drying times between coats. The thinner the coat, the more hardwearing it will be, as it will dry harder. STEP THREE Measure the floor to locate its centre. Using masking tape, position the stencil at the centre so that it does not move while you are painting. STEP FOUR Take your second Chalky Finish Floor Paint colour (we used Anthracite) and apply a small, even amount paint to small foam roller. Apply the paint to the stencil. To avoid bleeding, make sure that there is only a small amount of paint on the roller at all times. Remove the stencil and reposition it. Depending on your stencil, you may need to wait for your design to touch dry to avoid smudging the previous stencil. Repeat until the whole floor is covered. What Do Your Colour Choices Say About Your Personality? Julian Charles have been supplying beautifully made home furnishings since 1947. So they know a thing or two about transforming the look and feel of your rooms, by adding comfort, texture and style throughout your entire home. They recently asked a few bloggers to reveal what colour choices they made at home, with the object of revealing what that says about their personality. I have to say, when I moved into my current house I wanted to be a bit more consistent room by room, and tried to stick to a more restrained and restricted colour palette. So, this little project is quite easy for me. Apparently, using black and white suggests that you like the simple things in life. You enjoy sitting down with a good book, or just having dinner with loved ones. It doesn’t take much to please you. You might be a bit more cautious with your interiors too. Perhaps you’re scared of colour, but regardless, your home is still beautiful and stylish with simple monochrome colours. Green is a very calming colour, so if you have this in your home, it demonstrates that you’re a very patient, collected person. You’re a loyal friend and a very faithful partner. Other people always come first, making you completely selfless. You’re the friend everyone comes to when they need a shoulder to cry on, or someone to talk to, because you’re compassionate. You don’t stick to house trends, but are happy to buy what you like when you see it. This means your house is full of wonderful knick knacks, and mis-matching furniture. If you’re interested in what other colours say about you. Read On. Grey is a reliable colour; you can’t go too wrong with it. It’s the same for you as a person. You’re reliable, but sometimes a bit scared of being the centre of attention. You’d much rather fade into the background. Grey is also the colour of compromise. It shows that you can be indecisive, and would rather sit on the fence than make any big decisions. You’re mostly a calm person who likes to be in control of a situation. Sometimes you can be a little bit too serious, but your fun side comes out when you’re with your best friends. If yellow is your go-to home colour, it shows you’re creative, but also a bit of a perfectionist. You’re always the person giving advice out to friends and family, and are definitely a glass-half-full sort of person. You see the positive in everyone and everything, although not necessarily in yourself. You often dress to impress and are extremely houseproud. You love having people over so you can show off your incredible abode. It’s always immaculate and everything has its own place. If purple is the colour you use most often in your home, it can demonstrate you’re organised, and everything at home has a place where it belongs. You like to have structure, which means that routine is important to you if you want to keep stress levels low. You’re a person with a creative mind, and your home is an inspiration to other people. They’re always asking where you got that lamp from, or that rug. You’re extremely house proud. Pink isn’t always for women. If often means you’re in touch with your feminine side, whether you’re a woman or a man. You’re a warm, friendly and approachable person, and the same goes for your home which feels inviting. Your love of pink also shows that you have a warm and maternal side. You’re the person everyone comes to when they have a problem. You always see the good in other people, but not necessarily yourself. You can be reserved and shy. Blue, like green, is one of the most calming colours. You’re a bit of a free spirit but prefer tranquility and peace over hustle and bustle. You hate discord or conflict, and can never hold a grudge for very long. This means you can be a bit of a people pleaser, but this isn’t always a bad thing. You prefer to have a close circle of friends anyway, over a large group of friends or acquaintances. This means when it comes to socialising in your home, you’d rather have your mates over for a few drinks than a full on house party. Most people see orange as a fiery colour, like red. However, you’re actually a friendly, good-natured person. If you use lots of orange in your home, it shows that you enjoy socialising and partying. You’re always having social gatherings and house parties because you love entertaining in your own space. You can also be a bit of an adventurer. You prefer to be outside camping, climbing, walking, than stuck at home by yourself. You’re a people person, and love to make new friends. With more and more of us working from home these days, we could all do with some expert tips on how to transform an occasional work space into a home office. One in which you actually relish spending time and which helps you to be more productive. Vanessa Arbuthnot has put together some helpful tips on how to integrate your workspace seamlessly into your home by cosying it up with beautiful blinds and sumptuous curtains. She recommends reupholstering vintage chairs in striking fabrics and using wallpaper to create a connection between your office and living space. Other tips are to use oilcloths to protect work surfaces, and to keep organised by using co-ordinating notebooks. For this workspace within a bedroom, Vanessa placed a curvy desk from Home Office Design Ltd. (really stylish but very practical at the same time as it has discreet holes at the back for power leads!) in the often under-used space between the two windows. She completed the look by upcycling an antique swivel chair found on eBay, which she reupholstered with her plain linen union fabrics in Charcoal for the seat pad and Clay on the backrest. This home office was created in a neglected space under the stairs. The white paint helps to create a space full of light. It’s a great place to pin up ideas and keep an eye on work-in progress. A white table with clean lines and a vintage office chair (another Ebay find! ), covered in Shibori in Kale and Charcoal from Vanessa’s Artisan Collection makes a cool combination. Team the joyful Kale colour and fresh whites with key pieces in black to accentuate the scheme and incorporate serious ‘task lighting’ for when you have to burn the midnight oil! These subtle touches will help make the space more attractive and less obviously an office. print edged in sophisticated Plain Charcoal linen union. Vanessa’s Pretty Maids wallpaper in Dusky Pink gives this office a soft, welcoming look whilst the shelving makes it extremely practical. Plus, being part of the sitting room, it’s ideal for encouraging more messy workers to keep neat and tidy! Here, Vanessa shows how to make an office in a cleaned up shed! With a good heater and lots of insulation, this is a great place to get away from the house and create distance, separating the concepts of ‘working from home’ and ‘living at home’ – and putting some space between those dreaded domestic tasks that are always winking at you when you are based in the house! To create a cosy, contemporary look, the vintage chair was covered in the vibrant Bird Hop fabric and the door curtain features the whimsical animals of her daughter Rose’s Wild and Free design Cover notebooks, boxes and files in scraps of fabric to make them look more attractive. This work station is in Vanessa’s guest bedroom and is tidied up when her friends come to stay. The desk doubles as a dressing table and the lovely wooden chair makes it a comfy place to sit whether you’re working there or staying over for the night. To keep the room feeling like a guest bedroom, and for added luxury, the curtains in Cow Parsley in Teal have a flop-over frill and are the perfect partner to her stone and mushroom coloured fabrics. This workspace is in an attic room, which is also used as a bedroom now and again. The table fits well into the small space under the eaves and keeps the ‘office’ contained to one area of the room. The modern chair has been upholstered in Vanessa’s Simple Spot fabric in Duck Egg and Speedwell and the blind, which keeps the space private but allows the light in, is in Pie in the Sky in Speedwell and Straw. Terrazzo may be one of the hottest interior design trends this year, but you don't need to rob a bank to incorporate it into the home. This DIY version using a chalky finish furniture paint is super easy and can be done on a shoestring. 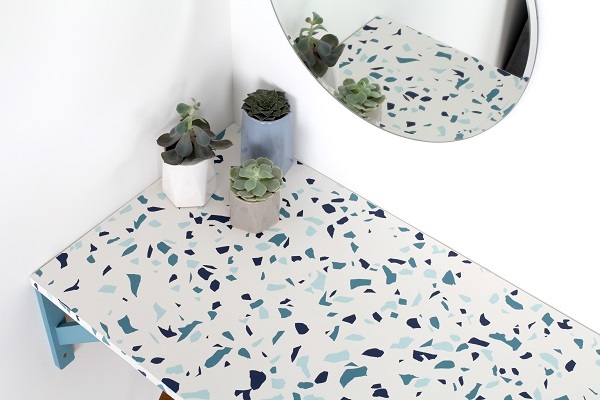 We're featuring a terrazzo dressing table, using an upcycled piece of mdf but you can use this technique on pretty much any project, big or small. Take your chosen shade of furniture paint for the base (Chalk White is used here) and stir thoroughly before use. Paint the top, sides and front of the MDF sheet with a roller and leave this to dry. You may require a second coat. To create your stencil, place the sticky back plastic on the cutting mat and begin to cut out the terrazzo design with a stanley knife. If needed, print out a picture of terrazzo and use this as a guide. Stick your stencil to the MDF, ensuring it's secure. Take your remaining furniture paint shades and paint in your design. The colours used here are Ink Blue, Belgrave and Duck Egg. Once dry, protect and seal the paint with lacquer. Personalise the Clever Cube to match your project. Here the top two sections of the cube and the wall brackets are painted in Belgrave. Hooks have been attached to give additional compact organisation. Finally, use a drill and screws to attach the brackets to the wall and secure the terrazzo table top in place. Rust-Oleum Chalky Finish Furniture Paint is perfect for small or large projects as it can be applied directly onto wood, brick, stone and plaster without priming or sanding. Breathe new life into tired cabinets, add pops of colour to shelves, and create colour schemes at your whim with chalk paint by Annie Sloan. From beginner to advanced techniques, transforming your kitchen is a weekend project, instead of a long term investment. Pick from the palette of 37 colours, mix and match to create custom shades, or go for gold by creating a sumptuous gilded splash back using Annie Sloan metallic leaf in brass, copper or silver. Wall paint in Antoinette. Chalk Paint in Aubusson Blue/ Emperor's silk mix on cupboards. Chalk Paint in Aubusson Blue with Brass Leaf gilding on splashback. Visit AnnieSloan.com for kitchen painting techniques, tips and inspiration. If you are a fan of pared back design, with monochrome prints, and a few hints of a past spent travelling, you will love Dutch House from Next Home. Suitable for both contemporary and industrial style interiors it's the epitome of laid back cool. Sofa from £699, Tile effect rug from £40, Landscape cushion £10, Natural faux sheepskin rug from £30, Bronx floor lamp £80, Brass black coffee table £125, Brooklyn table lamp £35, Hudson dark small sideboard £425, Hudson dark ladder shelf £399. Sofa from £699, Tile effect rug from £40, Landscape cushion £10, Natural faux sheepskin rug from £30, Bronx floor lamp £80, Black piano stool by be pure £99. Charlotte Jade was set up in 2015 by artist Charlotte O’Reilly and sister Kate. They take their inspiration from the concept of Biophilic Design - the belief that we need nature for our wellbeing. Using the shapes, form, patterns, textures and colours prevalent in our natural environment the Charlotte Jade collections bring the outside in restoring our affinity with nature, with the aim of reducing stress, aiding mental alertness and improving productivity. Not just on wallpaper either. The eye-catching range of hand drawn designs, is also available on textiles, upholstery fabrics, cushions, ceramic tiles and flooring. Its latest collection Into The Wild will be launched at Decorex International, which returns to Syon Park from 16 – 19 September 2018. Charlotte Jade also offers a bespoke design service, working directly alongside clients to create special one-off, hand drawn patterns that are unique and exclusive. Its designs have been used in commercial and residential projects around the world, including a bespoke project at LUX Hotel for Kelly Hoppen Interiors. It has also collaborated with London Zoo to create a range of cards and the duo are currently working with the Zoo on a new set of designs. Sometimes property sellers need a very quick sale. You might be relocating for a new job or need a bigger house for a growing family or you’ve found your dream home already and can’t wait to move in. Whatever your reason for wanting to sell your property fast, there are a few key actions that will get prospective buyers interested. And, the more appealing your home looks to buyers, the faster it will sell. How can home staging help? You have little more than 10 seconds to make an impression on a prospective buyer. If you want to sell your property quickly, you need to make a positive impact straight away. This requires more than just a deep clean and tidy-up. To get buyers interested you need to think about how your home is dressed. This means lighting, furnishings, interior design and greenery. Here are 11 tips to help make your property stand out from the crowd and get a quick sale. The first rule of getting your house ready is to declutter. Remove all unwanted objects from each room. This includes cupboards, wardrobes, and bathroom cabinets. Especially any ornaments or personal memorabilia — you want to depersonalise rooms as much as possible. Aim to get rid of least 30% of your things. You can throw these away, recycle or place in storage. Remove all unnecessary furniture to free up space. This doesn’t mean empty your house out entirely. But, buyers struggle to visualize living in a place that is empty. Rather make sure the furniture you include serves a purpose e.g. a table to indicate a dining area, or a well-placed cuddle chair with a rug thrown over it for reading. Show off any period features — especially if they are in good condition. Fireplaces and wooden flooring are very desirable to buyers. Get the lighting right. Hands down this is one of the most important house staging tasks. Dark spaces are unattractive to buyers. Make the most of any natural light you have — remove heavy curtains and any obstructing furniture or clutter. Turn on all lights even during day-time viewings. Add table lamps to darker zones to brighten them up. To create a warm ambience, change light bulbs to soft glow. Navigate carefully between neutral and boring. There’s no doubt that earth tones work better than more bright colours on walls. You want to sell your house not your taste in interior design. But, a splash of colour on an accent wall can also brighten up a drab room and create a modern feel. Go along to a few viewings of similar properties and get inspiration for what works and what doesn’t. This is one of your most prized assets. Its worthwhile spending time making it presentable and attractive. Make sure you maintain a mowed the lawn. Dress up garden furniture with cushions and rugs. Make it more appealing by adding flowers beds and updating old paving stones. Mirrors are a wonderful accessory as they reflect light and makes small spaces feel bigger. Place them in corridors, rooms. They also work well in small gardens. Don’t forget to add fresh flowers in rooms. Add a little luxury by adding soft furnishings and cushions. Place rugs in specific places like by the kitchen workbench. Buy new towels and bedding. Throw a blanket over the end of the bed for added comfort. Before your buyers even steps inside your house they will be forming an opinion of what to expect. This means the front of your house needs to look as great, as the inside. Give your entrance the ‘wow factor’ by ensuring it is clean and tidy. Add a hanging flower basket, install outside lighting and update outdated door numbers with a more contemporary style. Leave doors open to encourage buyers to wander comfortably around your property. They should be able to see inside the room immediately so make sure your best features are clearly in sight. Bad smells will keep your property languishing on the market. Smoking and pet smells are a big turn-off. Place potpourri and scented candles around the property — perfect for small shelves. If you have time, bake bread and make fresh coffee on viewing days. This will fill your property with comforting smells adding a sense of homeliness. By investing time in home staging your property, you will attract more viewings and interested buyers helping you sell your home fast. The space is spread over five floors, comprises close to 20,000 square feet, with two large work spaces on each floor. The building has an amazing location, less than five minutes walk from New Street Station, where the HS2 will arrive, linking Birmingham directly with London, The East Midlands, Leeds and Manchester. Drawing inspiration from Georgian facades and private members club entrances, the exterior of the property is now befitting of the young, vibrant clientele it seeks to attract. The front door, repainted in an inky dark Paint & Paper Library blue, is adorned with bronze ironmongery; an antique-style bell, door knocker, letter plate and buzzer. Above and around the main sandstone entrance, statement new signage in blackened steel and antique brass give visitors a hint of the premium design within. The main lobby features oversized antique mirrors, flanked by the project’s eponymous dark blue painted walls. Bennetts Hill House is the second collaboration between Run For The Hills and property developer Dunmoore, following the success of the redevelopment, styling and rebranding of the Wireless Factory warehouse style workspace project in West London. Led by Creative Directors Anna Burles and Chris Trotman, Run For The Hills’ holistic approach, includes working on everything from the interior design of Bennetts Hill House, to origination of the branding, logo and entire visual identity and website. Designing everything from the exterior signage and the ‘to let’ board outside, to the company board in the main lobby and internal way-finding and signage throughout the building. Having both interior and branding teams in-house has allowed a design synthesis between all elements of Bennetts Hill House’s new creative identity. The new open-plan offices feature super high ceilings with exposed concrete pillars, exposed steel beams and oversized vintage blackened steel mirrors. The ‘studios’ also feature large, steel framed Crittall windows on all sides, allowing swathes of natural light to flood through the space. The show suite on the 4th floor also showcases the stylish shaker style kitchens designed by the interiors team,featuring crisp marble worktops, super dark painted cabinets and doors, antique brass taps, butler sinks and apothecary style cabinet handles. Rather than overhead cupboards, the kitchens have reclaimed timber open shelving with cast iron brackets, making a style statement and keeping things feeling light and airy. Founded by Chris Trotman and Anna Burles, Run for The Hills is an award-winning creative design house specialising in branding and interiors. Sanding and finishing floors - particularly the hardwood variety - may seem like a challenging task for the uninitiated. However, the process is surprisingly straightforward - assuming you have the right equipment and tools. If you can borrow or rent a large electric sander, this will make the process easier. However, you can complete the process by hand sanding too - although if your floor is very large, this could be a cumbersome task. After several hours of hand sanding a large surface, you may even hot-foot it from your home for an emergency trip to your local DIY store - and invest in a sander. Here are five helpful tips for sanding your floor. For most floors - particularly older, more uneven ones - you may need to use two or three different grit numbers. The lower the grit number, the rougher and more vigorous the sanding. For a very uneven floor, begin with a something like a 36 grit, before progressing to a 50 or 60 grit. If the floor is already fairly flat and even, you might start off with a 60 grit. In the final stage of sanding, by which time the floor should be flat, switch to a finer grit of 80 to 120. Initially, moving your sander diagonally will help even out the floor. For the latter stages of the sanding, perhaps using something like an 80 grit, move the sander in line with the direction of the flooring. If you started off with 60 grit for the central areas, before finishing on 80, then repeat this sequence when sanding the edges. You can clean the corners either by hand, using a palm sander - or perhaps even a delta sander if you have access to one. After carrying out the initial rough sanding, empty the dust bag and use the wood dust to fill in any splits or gaps. Add PVA glue to the dust, mix it, then apply the filler to the gaps using a spatula. Leave enough time for the filler to dry, before sanding it off - 100 grit should be sufficient. Once the main sanding is completed, go over the middle and edges with a fine grit of around 100. If you don’t have a rotary or finishing sander, you can do it by hand. This final stage of fine sanding is very important if you plan to stain your floor. You can find plenty more tips for your DIY over at the DIY Advice blog. If you’re anything like me, you might have found your dream home. It has everything you want, except the bathroom is…small. Or maybe you’re lucky and have everything including a large bathroom for yourself but your guest bathroom is not quite as big. Either way, the question remains: How can I make the best out of my small bathroom? It is well known that mirrors can make a space look larger and that shelves and cabinets are essential in a small space. I like to combine these two principles in my bathroom to make sure every square inch is utilized and use a bathroom mirror cabinet. A bathroom mirror cabinet helps open up your small space and also provides valuable storage room useful for cutting down the clutter and keeping things nice and tidy. Gone are the days of the boring bathroom cabinet, today’s options provide a much more updated and attractive look. The space above the sink is often underused in traditional bathrooms, usually featuring only a mirror or at best a thin medicine cabinet. Cabinets from companies such as Villeroy & Boch and Duravit have taken a seemingly simple bathroom item and loaded them with features. Many feature built-in lights which brighten up your bathroom and give it a more open feel, as well as interior outlets and adjustable shelves so you can customize the interior to suit your needs. Another great way to win some space in your bathroom is with your shower. Your shower does not have to take up all the space in your bathroom, and with the many options available to us today we don’t have to sacrifice comfort when choosing to downsize our shower. Hansgrohe, one of Germany’s finest shower manufacturers provides a wide selection of ceiling mounted showers tailored to every shape and size of bathroom. A growing shower trend is ceiling mounted shower heads. Not only does it bring a fashionable new minimalistic aesthetic to your bathroom, it also reduces the space needed for the shower. With this type of installation, you can even enjoy the luxury of a large shower head in a small shower. Finally, the last tip for making the best out of your small bathroom is using soft closing toilet seat. While this might not seem intuitive – hear me out. Small bathrooms are usually up against or attached to other rooms, particularly bedrooms. Walls are often thin, and noises travel. One of the additions to the bathroom that was most appreciated by the rest of my family was the addition of a soft close toilet seat. No more waking up the loved ones when getting up to use the toilet in the middle of the night. The majority of the major toilet manufacturers now offer soft close toilet seats with designs to suit every bathroom’s style. Switching the toilet seat is also a simple way to update the look of your toilet without having to buy an entire new toilet. Just a warning, you really do get used to having a soft close toilet seat and when you visit the homes of friends and family who do not, you will probably slam their toilet seat shut and wonder how you lived without soft closing seats. Every bathroom can be beautiful and functional, no matter the size. By following these three tips and shopping around for some extra ideas you will be able to find solutions to your small bathroom problem and have a space that you truly love and find comfortable. Yellow inspires optimism, confidence and brightness and can make a room feel warmer. Good things to remember as we hurtle headlong towards Autumn. If you are thinking of redecorating soon, maybe consider this most sunny of colours. And to help us out Valspar have suggested a few tips to help us along the way. Tapping into current colour trends, there’s been a real shift of people moving towards brighter colours with a clean-cut finish. Sunny shades of yellow can work on almost any wall, when paired with a crisp white ceiling and skirting boards the effect is fresh, bold and classic whilst remaining current. Yellows don’t always have to be bright to bring cheer into your room. Using saturated yellow hues such as ‘Sunwashed Meadow’ can be a fantastic way to add a burst of colour to living spaces. Pairing these shades with contrasting charcoal grey and black furnishings provides a contemporary look. If you have a kitchen that doesn’t get a lot of natural light, yellow is the perfect choice to brighten up this important family space. To achieve a rustic feel in the kitchen, you can team sunny yellows with natural wood panels. For your kitchen refresh, opt for the Kitchen and Bathroom range from Valspar®, which can endure the scuffs and knocks of daily living without compromising on colour or finish. If you’re feeling creative, shades of yellow work really well as an ombré effect. This is a simple and stylish technique that can be used to create a unique, personalised accent wall by blending several different yellow shades together. To achieve this, choose three different colours from the same colour family, one light, one medium and one dark to create a striking statement wall. Colours matter. They tell the world who you are, so what better place to start than with your entrance? Statement front doors are one of the hottest trends of this year and bright yellows are perfect for creating a warm, welcoming entrance and setting your house apart from the rest. Cheery yellow shades complement red brick perfectly and provide an eye-catching contrast to any adjacent greenery. Use Valspar® Exterior Wood and Metal to paint doors and window frames in the same shade for show-stopping results. Using yellow when upcycling is ideal for adding a playful feel to a room and vibrant shades work well to add a pop of personality and individuality. Valspar’s Premium Blend v700™ Wood & Metal will give even the thinnest piece of MDF a beautiful finish, that is long-lasting and withstands those everyday knocks. Colour blocking with fresh pastels like lilac, mint and blush is definitely on our radar right now. As summer fades away what better way to keep our homes upbeat and fresh looking? A chic way to get this look is by mixing cool neutral furniture with mixed pastel walls for a bold and colourful statement. It’s also a great opportunity to play with 2018’s It-shades; sage is still popular as a versatile neutral, and lilac (a gentler answer to Ultraviolet) offers a calmer look that’s still very on-trend. It’s all about determining the right colour mixes and where to show them off, whether it’s on a large scale or in small, arty doses. Rebecca Snowden, Interior Style Advisor at Furniture Choice talks us through it. Your walls are the star here, but that doesn’t mean they can’t share the limelight. Choosing furniture in light tones will immediately create a contrast, without adding more colour to a space. 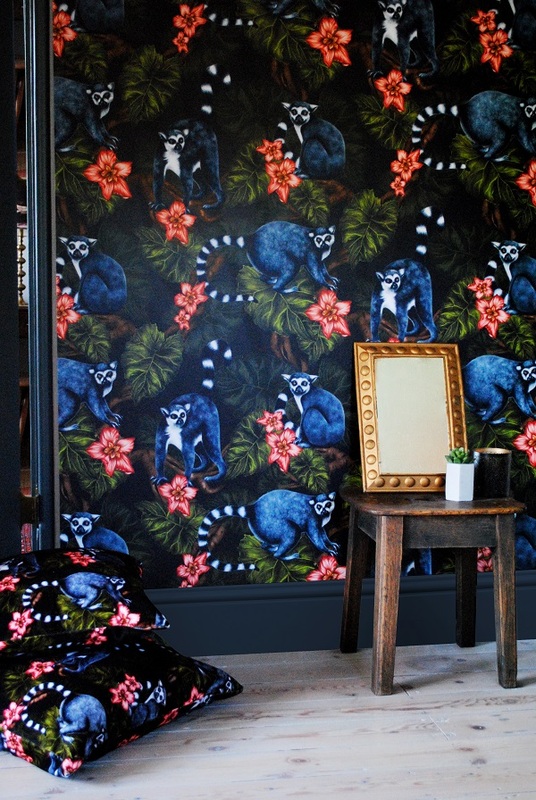 The urban jungle trend is not just a fickle fad. It is a living, breathing lifestyle choice. It is living a life among plants and in harmony with nature, even if you live in the heart of a big city. Whoever tries it once, cannot imagine life without soothing greenery in the home. It is suitable for any interior and brings positive energy and more oxygen to every room in the house. Plants can stand on the window sills, the larger ones will proudly decorate the floor, and the fancy vines will grow robustly in wall planters. Luckily, you don't have to be that green fingered to include greenery in your own little pad. 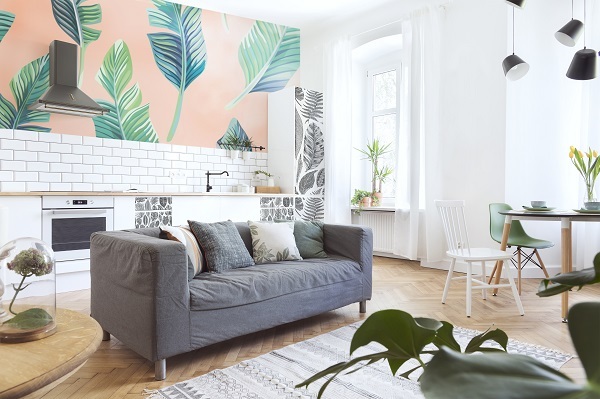 Wallpaper, cushions, and carpets in floral patterns, as well as vases and knick-knacks in the shape of leaves and flowers, will complete the look and make your home bloom throughout the year. 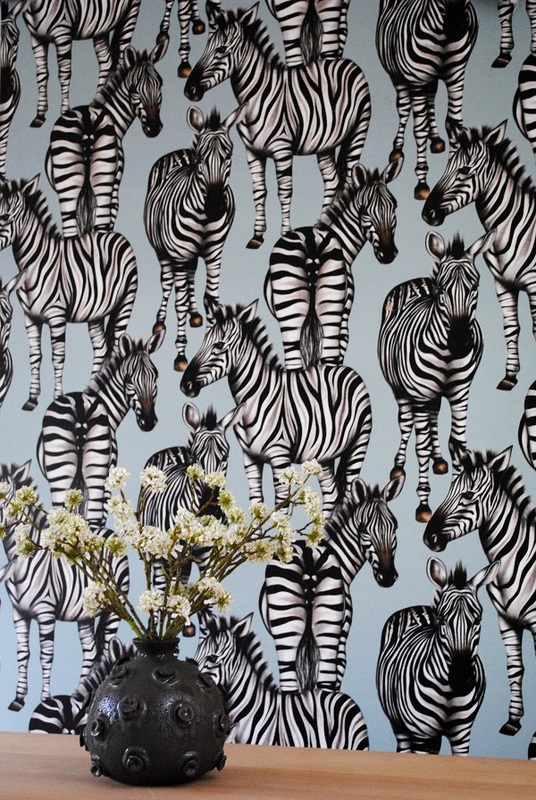 And if you choose to adorn your walls with urban jungle inspired wallpaper and wallmurals you will optically enlarge your space as well as experience the full 'communing with nature' benefits. This sweet and elegant yet casual combination of succulent green and pastel pink is very popular. White and all the colors of the earth, like beige and browns of various shades are ideal for lovers of the classics and minimalism. And all of these combinations are good backgrounds for green compositions. All wall murals are from Pixers. Holiday weekends offer the perfect opportunity for finishing those half-attempted DIY tasks or unleashing your creativity with colour. Whether it’s a tired piece of furniture in need of attention or a plain wall that is crying out for a little charisma, there are a number of ways to make the most of the long weekend. Crown’s selection of multi-surface emulsions, non-drip glosses and satins offer extensive colour choices and high-quality finishes. With step-by-step guides available, alongside expert advice from the colour consultants, visit www.crownpaints.co.uk for answers to your DIY questions. Dash of Nutmeg, Hare, Soft Shadow, City Break, all Matt Emulsion, from £14 for 2.5l; Steel Drum, Non-Drip Gloss, from £15.49 for 750ml. City Break & Hare, both Matt Emulsion, from £14 for 2.5l. If you work from home you will know how much time you spend in your office. Sometimes it may feel like you never leave the house, that’s why it is important to style your office a little differently from the rest of your home, making it feel like two separate places. Firstly, when styling the office space be sure to incorporate a few personal elements, this can be done using colour, fabrics, and pictures. You could even try decorating with flowers or houseplants as we have discussed before on this blog. When looking to style your office you can either do this by purchasing bold coloured office furniture, or an office chair that represents your style, as the infographic below from Furniture At Work showcases, or you can make subtle changes using accessories. Let’s take a look at some accessories you could add to your office, making it a little more fashionable. A popular choice or many, a nice family photo can brighten a stressful day. You may even want to place it in a handcrafted picture frame that you made with your children, bringing back lovely memories. Picture frames can be simple to make out of cardboard, paper mache, or just go online and design one! You may also want to create a lovely painting with your family that will make you smile every day. This could quite possibly be the most dull area of the office, but with a little paint or coloured overlay you can make the space bright and cheerful. Another option is to write inspirational quotes on the front of the boxes providing something motivational. Black paint to create a chalkboard wall is right on trend at the moment and this is simple to do. Once the wall is painted, find some chalk and get writing you can be as creative as you like as it can be wiped off. Depending on your business, why not use bold colours accompanied by monochrome furniture, providing you with the best of both worlds, and if you want to add a little craft simply focus on one wall and dress it with fabrics. Let's face it, summer is not the time to be washing an ironing the tablecloth. That's why we love a PVC version. And the latest designs from Bluebellgray are absolute stunners. Perfect for adding a playful and colourful twist to your kitchen or outdoor table. This PVC coated cotton is also perfect for protecting your table during craft projects, messy food preparation, or to simply add a colourful statement to your home. Available in four signature designs including; Cactus, Botanical, Rothesay and Seafield. Available to order online here. 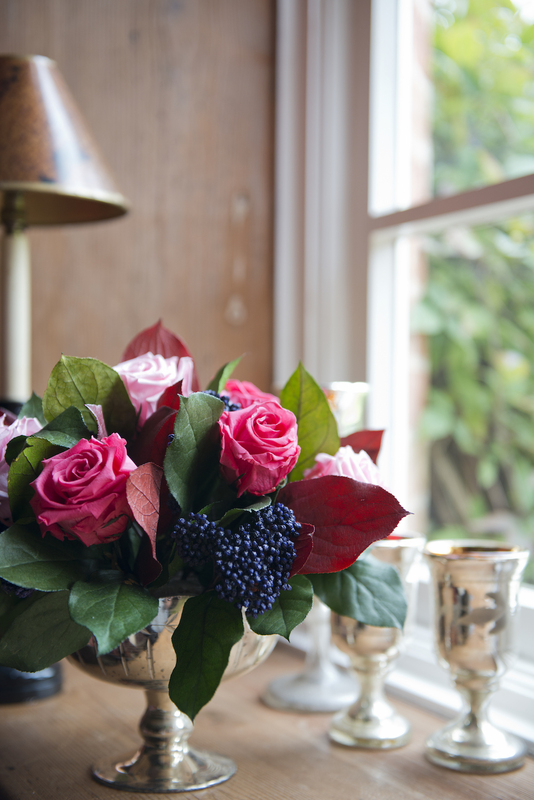 Perfect all year round, from the height of summer to the festive season, the collection from The Magic Flower Company is carefully preserved to ensure beautiful, lasting flower arrangements that can be enjoyed in your home throughout the year. 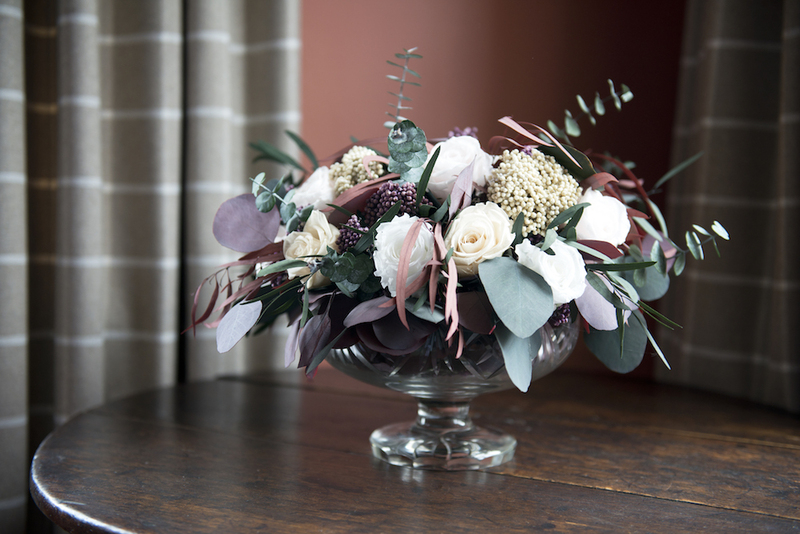 Designed to last for many months or even years in perfect condition, choose from single stems of elegant eucalyptus or opt for rich burgundy red roses to celebrate the arrival of Christmas. 100% real, the extensive range from The Magic Flower Company is preserved through a skilled process that sees the sap of the stem replaced with a harmless glycerine solution to maintain the natural beauty of each flower or sprig of foliage. From stunning table centrepieces to classic vases and individual stems that make a statement, floral displays inspired by the festivities are guaranteed to take you from the start of December through to the new year and beyond. With bespoke services tailored to your home available on request, a unique arrangement can be organised to meet your style and space requirements for Christmas or any other special occasion on the horizon. Debenhams have curated a collection for the Autumn months that is designed to introduce the ultimate Scandinavian aesthetic into our homes. Healthy and wholesome, there is a strong sense of wellness and a feeling of serenity running throughout the range. 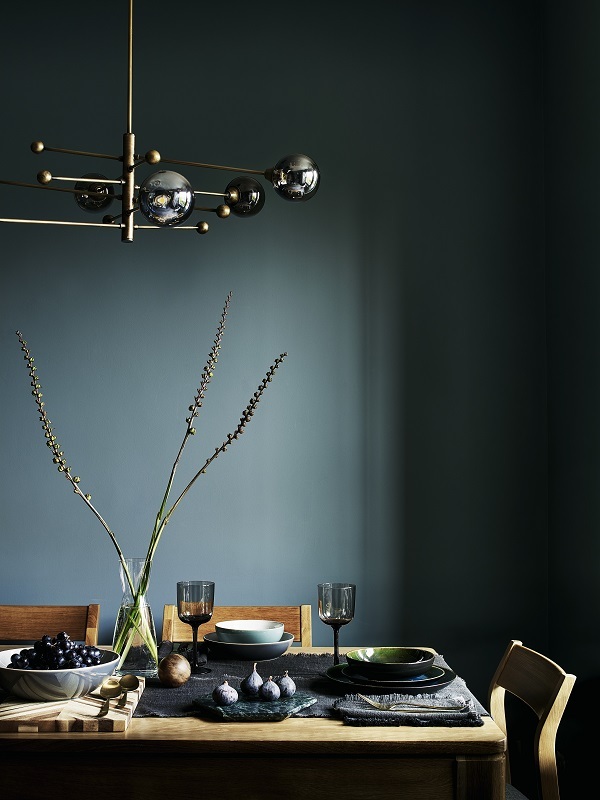 The colours are calming but at the same time would inject just the right amount of accent into grey neutrals. Like adding a coloured scarf to a well-tailored grey suit. The textures are tactile, and there are plenty of hurricane lamps and holders to tempt us to adopt the Nordic tradition of lighting candles. Smoked Glass and Gold Hurricane Lantern, £18. Cutlery (16 piece), was £35 - now £28. All from Debenhams this autumn.